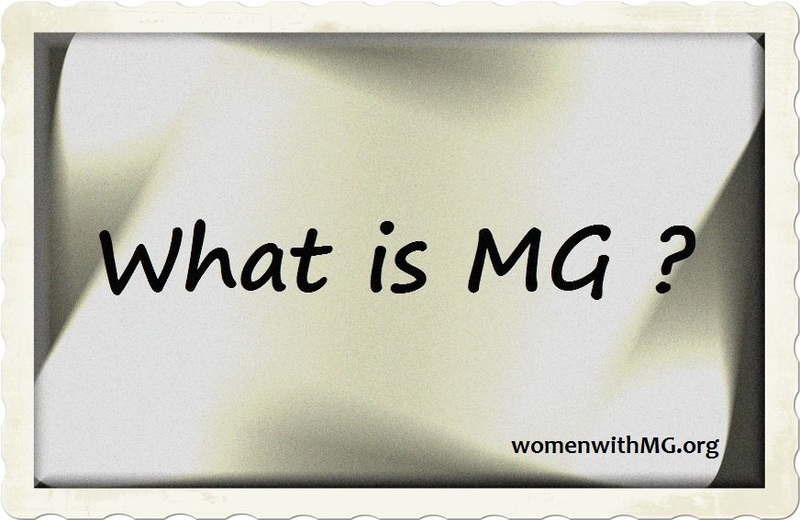 As part of MG Awareness month we at WWMG are continuing our tradition of sharing personal stories written by individuals impacted by MG. Today’s post is written by WWMG member, Stefanie Mickle Hobson. In April 1982, I was 11 years old..I remember having horrible double vision, and could hardly see out of my left eye. I thought, what the heck is wrong with me? I didn’t have to tell my Mom about problems, as they were quite obvious. She took me to the doctor..oh, she has pink eye..give her these drops and she’ll be fine in a few days. The eye drops didn’t work..took me to another doctor..yep, its pink eye, give her this ointment and she will be fine in a few days. I was in 6th grade during this time, and a lot of kids at school were teasing me mercilessly, saying I had an evil eye. I hated going to school, and even more, I hated my Mom for making me go. I would tell her about the teasing, and she would tell me not to complain about, as kids will be kids. I was still having trouble keeping my eye open, and bad double vision. I was constantly rubbing my eye, hoping that whatever was causing all these problems, would simply go away. And of course, it didn’t. 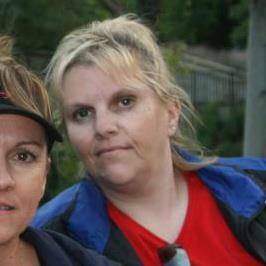 Soon after that I felt so much better and more importantly I looked normal! By this time I was on a Summer break from school, and getting ready to start Junior High. So nervous about that, but excited at the same time because I would look like the other kids. That September, I started 7th grade and felt really good. But I couldn’t get any boys to look at me, much less talk to me. Girls whispered behind my back, and didn’t want to be my friend. I thought I looked really good, but I guess everyone else still thought I was different. So then, my doctors started talking about a surgery I could have..what? surgery? Yes, its called a Thymectomy, but there are no surgeons in Tucson who will do it. You would have to go to El Paso Texas. But, you can’t have the surgery until you’re 16 and have stopped growing. Fast forward to August 1986..I’m 16 years old, and ready for surgery, but also scared as all get out. My parents and I make the drive from our home in Tucson down to El Paso..I get checked in at the hospital and speak with the surgeon. “We will split your breastbone, and go in behind your heart and remove your Thymus gland. Recovery time is about three weeks, and you can go back to school in September when it starts.” I remember waking up with a tube down my throat, and the most intense pain I had ever felt in my life. I saw my scar when the bandages came off, and started to cry. It was keloid and red, and the most hideous thing I had ever seen..and worse of all, it was on my body!! Going back to school after such an ordeal was not easy, but I did get out of PE classes, since I could not participate..anyways, I was never senior class President or anything, but I eventually graduated from high school, and worked a few miserable jobs until March of 1998 when my healthy, wonderful son Shane Daniel was born. After I delivered him via C-section, I could no longer work. Applying for SSD was a long and arduous task, but I finally was approved in January 1999. I did have Pancreatitis also in 1999 and almost lost my life, and then I had gallstones removed because they were what caused my pancreatitis. I have had a rough life, but I feel pretty well considering what I have been through. I used to be so self-conscience of my scars, but they are there to remind me of everything I have been through. And I have learned not to take each day for granted.. I was diagnosed when I was 6 months hence you are not the youngest 😉 and I can well imagine what you went through in school as I had a rough time too.